The 2018 Toyota Avalon is a family-friendly, full-size sedan that comes with all of the perks you expect when buying a vehicle with a Toyota badge: class-leading safety, good resale value, and a golden reputation for reliability. 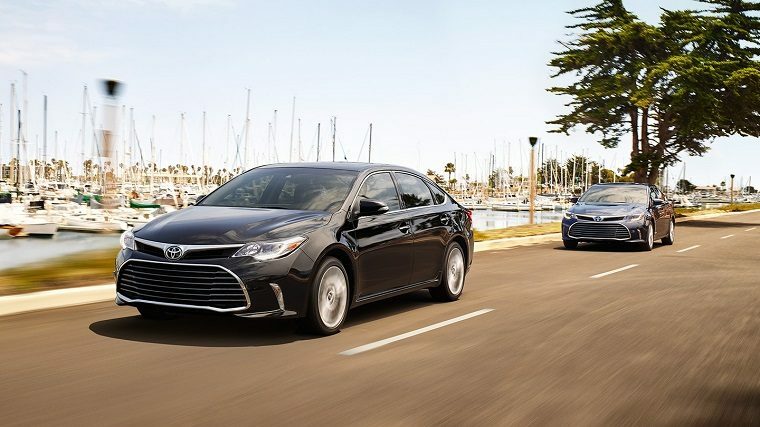 Even though the backseat is more accommodating than most of its rivals and its performance is not half bad, the Toyota Avalon’s efficiency nonetheless outmatches even some compact cars. We’re not sure how Toyota does it, but then again that’s probably why the Japanese company is the biggest automotive brand in the world. The 2018 Toyota Avalon is available in eight trims: XLE, XLE Plus, XLE Premium, Touring, Limited, Hybrid XLE Plus, Hybrid XLE Premium, and Hybrid Limited. The 2018 Toyota Avalon is identical to the 2017 Toyota Avalon. An all-new rework of the six-year-old sedan is likely just around the corner. 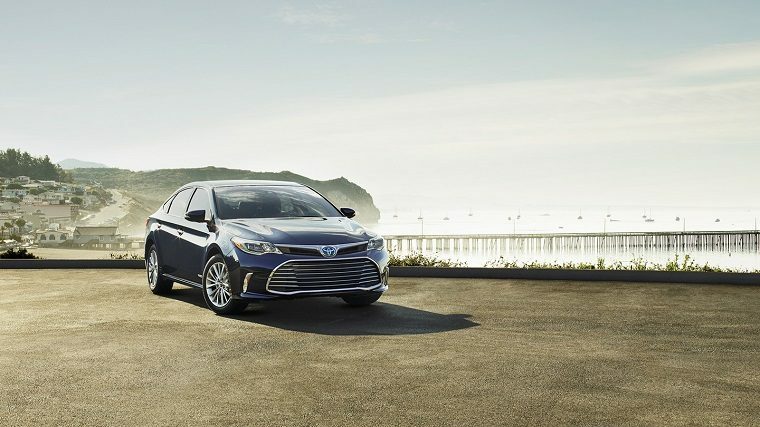 The 2018 Toyota Avalon takes a graceful if conventional approach at design, with sleek but conventional lines doing just enough to help you stand out, but not too much. Still, there are some noticeable efforts by Toyota to inject some sportiness into a sedan that would otherwise be exclusively relegated to fleet duty, particularly at the front, where the wide maw of a grille threatens to gobble up the road in front of it and the vertical Daytime Running Lights give the car a piercing gaze. 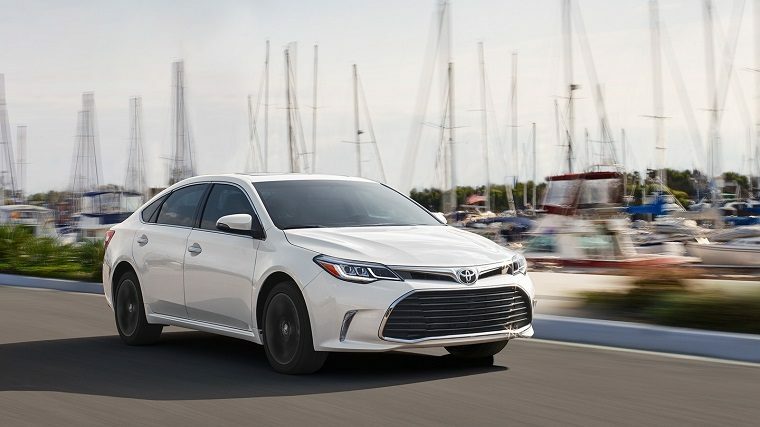 The 2018 Toyota Avalon is available in the following exterior colors: Blizzard Pearl, Magnetic Gray Metallic, Celestial Silver Metallic, Ooh La La Rouge Mica, Crème Brulee Mica, Sizzling Crimson Mica, Midnight Black Metallic, Parisian Night Pearl, and Cosmic Gray Mica. 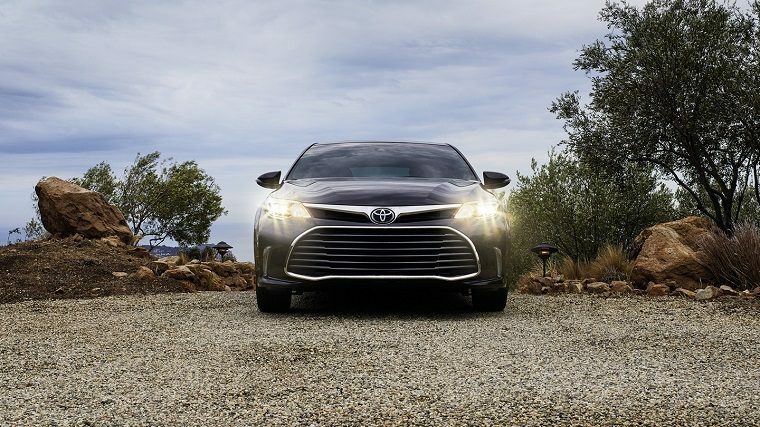 The regular 2018 Toyota Avalon is powered by the company’s tried-and-true 3.5-liter V6 engine, which makes 268 horsepower and 248 lb-ft of torque. Power is sent to the front wheels via a six-speed electronically-controlled automatic transmission with intelligence (what Toyota calls ECT-i), which features a sequential shift mode for those who wish a little more control over the driving. Those who would instead prefer hybrid performance can opt for the 2.5-liter inline four-cylinder and electric motor combination that also underpins the 2017 Toyota Camry Hybrid. That will get them 200 system horsepower and up to 199 lb-ft of instant torque provided by the battery, giving the Avalon a good little kick. 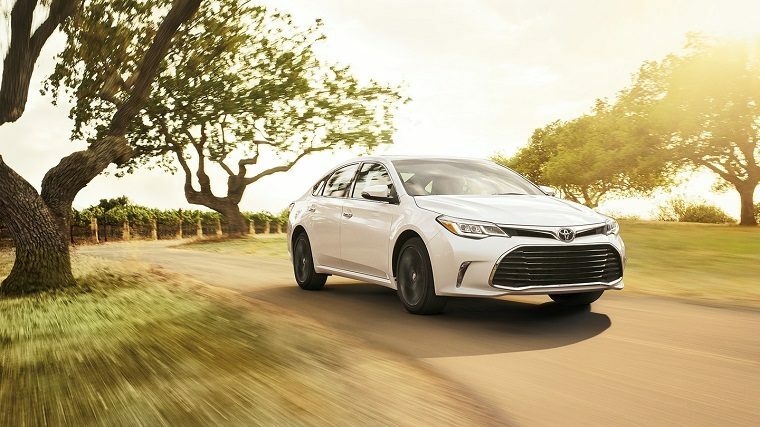 The 2018 Toyota Avalon boasts robust fuel economy numbers. The V6-powered model gets an EPA-estimated 21 mpg in the city, 30 mpg on the highway, and 24 mpg combined. 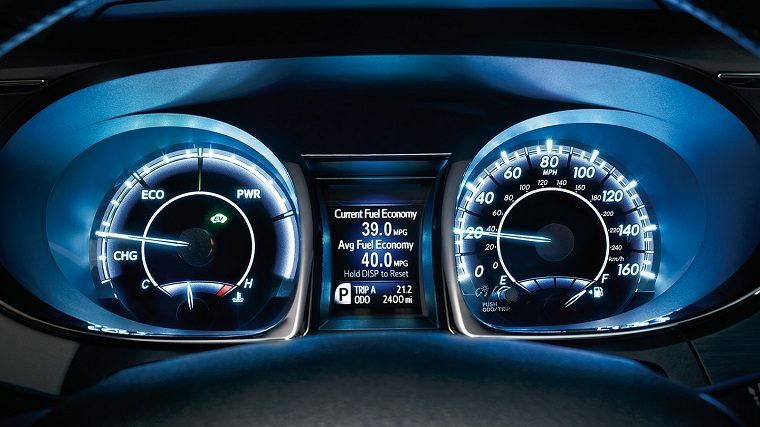 Meanwhile, the hybrid-powered Avalon is rated at 40 mpg city, 39 mpg highway, and 40 mpg combined. The 2018 Toyota Avalon started out as a sedan meant to hold five adults and all their gear, and today remains one of the few that can still make that claim. The front and rear seats are roomy and comfortable without compromising trunk space, and the rear seats are contoured in such a way as to suggest they were designed for adults, not children. There is also plenty of interior storage for bric-à-brac and various premium considerations to complement all of that space, such carefully-crafted appointments and leather grain surpassed only by ultra-luxury (and ultra-expensive) rides. Acoustic glass windshield and windows, combined with relatively quiet engines, additionally make the Toyota Avalon a comfortably quiet ride. The 2018 Toyota Avalon received the highest possible five-star score for overall safety in crash testing by the National Highway Traffic Safety Administration (NHTSA). Though the 2018 model has yet to be tested by the Insurance Institute for Highway Safety (IIHS), the IIHS named the 2017 model a Top Safety Pick+ for acing all crashworthiness evaluations and offering superior front crash prevention. That’s thanks to the Toyota Safety Sense P suite of driver aids, now standard across most of Toyota’s vehicle lineup, which features technologies such as Lane Departure Alert with Steering Assist and a pre-collision system that detects pedestrians. Given that the 2018 model is structurally identical to the 2017 model, there’s every reason to believe it is just as safe, and thus among the safest full-size sedans on the market.